I totally agree, and I have to be careful that my blogging is useful and not just for the sake of it! In fact, I wasn’t sure of the answer which is why I have written this post… Now I do believe that even the not-so-good posts have a place and they are taking me one step closer to my goal. The reason I am blogging every day is I want to be a blogger, a writer. 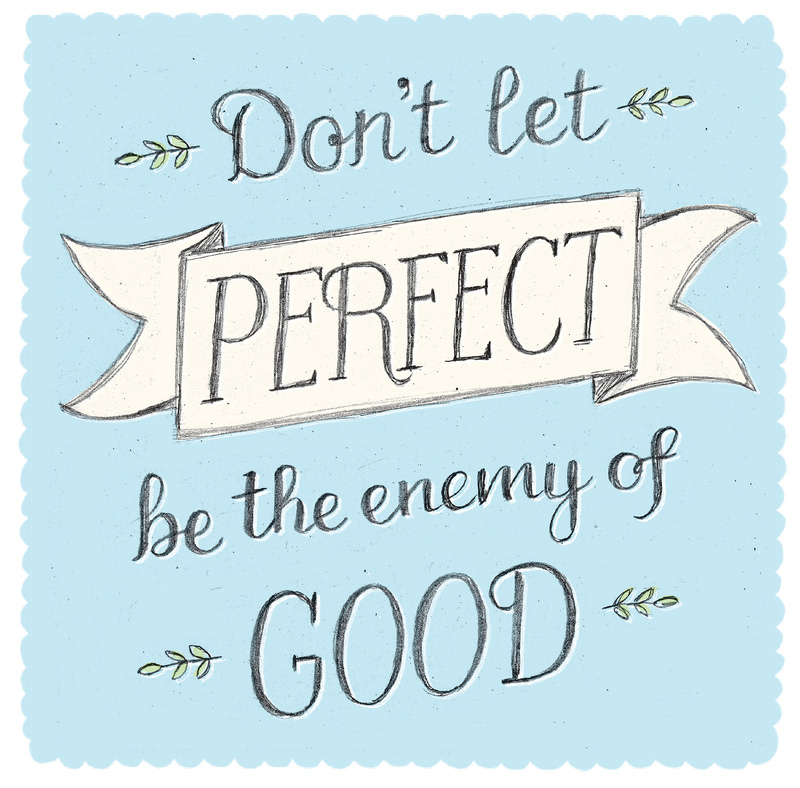 And, I want to be good at it. In Malcolm Gladwell’s book, Outliers: The Story of Success , he states that the best concert pianist, writer, artist, football players all have something in common and it’s not an innate ability or ‘gift’. They all have spent 10,000 hours doing the thing that they are good at. Even Mozart, who is famous for being a child genius, was actually 20 by the time his compositions were considered a masterpiece. That was after 10,000 hours worth of composing. It’s going to take me quite some time to get really good, so I may as well chip away every day! I want blogging/writing to be my career, my income stream, and, therefore, I will require both advertising and sponsored posts. While I want every sponsored post to be relevant and interesting to my readers, this is something I probably wouldn’t have written about unless I was paid. Similarly, I have a series about Giving Birth and Birth Stories where I post a birth story every Sunday and Wednesday. This is hugely popular and while people continue to send me stories, I will continue to post them. However, I don’t want it to be the only reason people come to my site. Therefore, I want there to be a good mix of articles that I have written for the shear pleasure of it to help keep the overarching personality of the blog. I found when I blogged every day in November that it made me write all those ideas I had floating in my head. They weren’t always formed, so this made me think about it and in turn I finally wrote things I wouldn’t have otherwise. I am finding that I am getting more efficient at turning ideas into blogs and I have them in mind as I’m doing things so I remember to take photos. In a similar vane, I’ve no idea what is going to work. I’ve realised from researching blogging and social media that I don’t seem to use things like other people. For example, I don’t use Pinterest for shopping purposes and yet it has a fantastic conversion rate for retailers. Equally, I can’t predict, at this stage, what will be a popular blog post. Back in November I posted a blog called What to wear, which investigated why I have loads of clothes and nothing to wear. It totally embraced my inner mathematician, complete with pie charts, and it was by far my most popular post in November. I wouldn’t have written this post at all unless I was blogging every day and at a loss as to what to write about that day. What an honour. It’s that last sentence that gets me every time and is reason enough to write something new everyday! If I want to make money via my blog, I need eyes on it. In January 2014 my traffic increased by 60% compared to December 2013 and unique visitors increased by 50%. Traffic from Facebook has increased by 160%! The only change? I blogged 12 times in December 2012 and 31 times in January 2014, so I guess I had more reasons to direct traffic from Facebook to my blog. Does this make sense? I feel by thinking it through this is probably therapeutic for me and a post I will be able to look back on to remind myself of why I’m blogging daily when I don’t feel like it! Do you embrace your passion or ‘the thing you want to get good at’ on a daily basis? What is it and do these reasons resonate with you? Please do leave your thoughts below! Jeeeeez did I really do that Eastend accent thing, am cringing at my own naffness!! The wonderful thing about blogging is that there aren’t any rules, as long as what you are doing works for you, you can’t go wrong. Yes you did 😉 Loved it!! Thanks for the thoughts and thanks for helping to look at it more objectively. I think I’m going to make this challenge work, this has been an incredible helpful thought process to work through! I forgot to say that creativity is also a muscle that needs working! Which is why when you make yourself do stuff when you don’t want to, you’re sort of flexing your creativity muscle meaning ideas will come easier next time! If that makes sense?! That’s such a cool way of looking at it and I agree, I certainly have times when I’m being really productive, when it just seems to flow. The thing I like most about your blog (and I’ve realised this since I’ve been doing more work on mine and visiting other people’s sites) is that you are not sacrificing your integrity by ramming your pages full of network badges and reviewing any old shite. The content is what’s doing the talking. You’re like the John Lewis of the blog world basically 😉 I’ll prob get crucified or ostracized for this but some bloggers can come across as a wee bit, dare I say it, desperate? I’m a blog daily girl – in fact, sometimes it is several times a day! I do worry if it’s overload, but there are times when I just have so much to blog about, that if I don’t I’ll be forever playing catch up with myself (actually, my list of blog posts still to write is currently taking up a page of my notebook – front AND back!!! I knew I was going to enjoy your post when you mentioned the book Outliers! You’ve discovered your passion – which you’re good at – and are being diligent about working at it no matter what. I don’t think I can manage a day without my camera. this is really interesting. I have just moved my blog to self hosted and am trying to have new content up at least 4 times a week. I find the commitment to blog each day too hard esp when adding in time spent viewing & commenting on other blogs too. I am getting better though! Great post! I try to write as often as I can, but with full time work I can’t do it daily. I wish I could as I would like to get the blog more out there. At the moment I have more post ideas than opportunities to write them! We are thinking about number two and some income from blogging and writing would be very welcome. A great post, it’s great to sit back and think about why you started blogging in the first place, and work from there. Love your blog, and love this post. I tried to blog every day for a month following a series of prompts and I found it so difficult, I felt like I was writing rubbish just for the sake of writing, so I stopped half way through. You are absolutely right about the frequency thing though, and the 10000 hours. I find if I get in to the momentum I blog a lot more, but if I fall out of it I struggle to write anything. Would love to challenge myself to blog everyday again! I wish I could make my numbers go up like that! I tend to blog daily – I keep notes of blog ideas, and have so many, that don’t have time to blog them all so have had to boot some good topics out because they’re now not timely. Shame. Some great reasons here why you’d want to increase the frequency. Makes sense to me. But I wouldn’t worry if you miss one or two. Totally totally totally agree. I have been blogging for a number of years and have just made the transition to self-hosted wordpress. I blog because I like to have a record of my days. In time others thanked me for the inspiration, but primarily my blog has always been for me and mine. Oh wow, great post and lots of things to thing about. Very interesting about Stephen King, using the same routine every day. Wow! 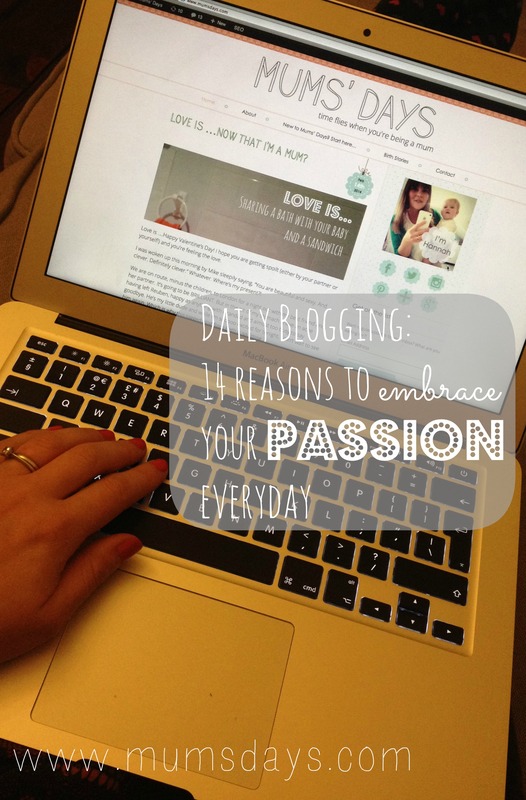 You’re not just talking about blogging every day… You mean posting every day too! This is a great post! Thank you for sharing! I know this is a really old post but I felt bad reading and running. I linked here from your latest discussion about blogging every day. Your tips are always so good and give me a lot of food for thought. Maybe I will try writing something every day to encourage my brain to think of new ideas!